Bringing games into an ESL lesson can be an effective way to engage and motivate students in the sometimes less than exciting task of language learning. 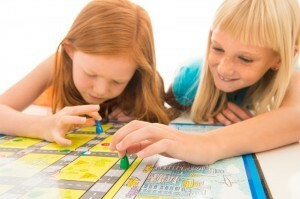 There are some excellent resources for language games in TESOL textbooks, in ESL course books, and on internet sites. Many students and teachers enjoy games in the classroom, but does fun mean that games are always a good activity to include when planning instruction? When are games appropriate? Are there times when games aren’t appropriate? As with all instructional decisions, we need to consider the teaching context first and foremost in our planning. Are the learners adults or children? Is the program/course academic, for immigrants, or for interest only/conversation? Do the learners enjoy working in groups, and are they competitive? These are just a few of the relevant questions that should be asked. Save $200 on Your TESOL Certification! Perfect for K-12 Teachers! Next, we need to consider whether the game is potentially effective at developing the language skills we are targeting in our objectives. As language teachers we often make the false assumption that the task (or game in this case) we plan will translate neatly into targeted language use and practice in the classroom. Second language classroom research shows that this is not usually the case – that the language actually used by the students during a task can be much different than the language that was anticipated by the teacher. As well, we need to weigh the costs and benefits of bringing games to the classroom. In intensive language programs, instructional time is at a premium. Games that require complex explanations or elaborate classroom preparation can quickly eat up valuable class time. On the other hand, in programs where learners are simply looking for exposure to language and conversational opportunities, games can be an excellent way to motivate learners and keep them interested in the class. Learn to create professional lesson plans, take an internationally recognized TESOL course with OnTESOL! Why Is Methodology More Important Than The Practicum? What Are TESL Canada Standards?